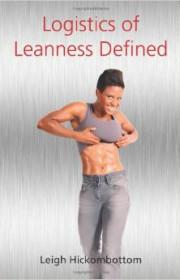 “Logistics of Leanness” gives a refreshing take on how to lose weight for good. I share from my own experience how I lost weight and made a lifestyle change without playing the dieting game. You are given keys from my success on how to achieve your desired weight loss for good. I also Help you see through me that it’s more than just genetics; For me it was more about the power of the mind. Buy online at Amazon here. This second part of “Logistics of Leanness” gives further insights into the mind as well as the actual resistance exercises for you to try. “Logistics of Leanness Defined” gives you detailed information on how this mind and body in unison equates to permanent weight loss success. All the tools you need are inside of you. Learn how to use them to achieve real results.